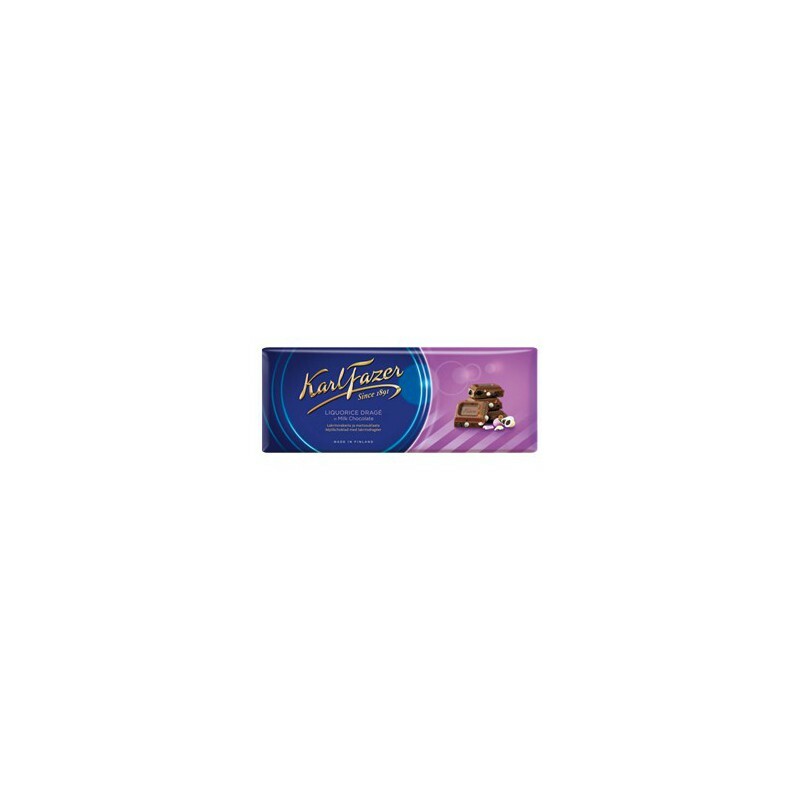 (GB) Milk chocolate with liquorice dragées (20%). Ingredients: sugar, cocoa butter, WHOLE MILK POWDER, cocoa mass, BUTTERMILK POWDER, glucose syrup, fully hydrogenated vegetable fat (coconut), liquorice extract, starch, emulsifier (lecithin incl. SOYA), flavourings, glazing agents (E901, E904), ammonium chloride, vegetable fat (palm), colours (E171, E153), salt. In milk chocolate cocoa solids 30% minimum. MAY CONTAIN TRACES OF NUTS, ALMONDS AND WHEAT. Producer: Fazer Confectionery, Finland.